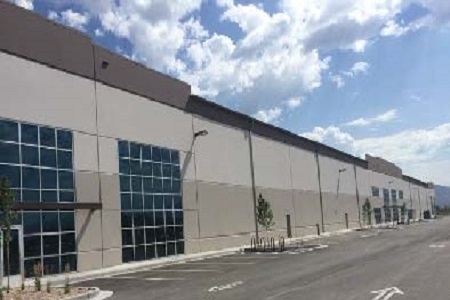 615 South Gladiola Street is a 156,750 square foot industrial building that is located in Salt Lake's premier submarket, California Avenue. The building has 30' clear height, 275' maximum building depth, 165' truck courts (with room for trailer drops if tenant desires), 28 dock doors (22 with manual pit levelers, dock seals, lights and bumpers), 4 drive-in doors, and 110 parking spaces. EverWest acquired this asset in a joint-venture with a Colorado based investment fund.